← Monday Question – Are You Still Looking For The One? It would be no exaggeration if I said that there was a time when I considered Tubéreuse Criminelle to be my arch enemy. It stood for everything I did not like. Tuberose – that note alone was enough, once upon an unenlightened time, to put me off, but to open with a healthy dose of mothballs on ice – well, that was it. This Serge Lutens creation was, in my humble opinion, just a sick fantasy of someone not heeding the old Guy Robert adage: First and foremost, a perfume should smell good. Tubéreuse Criminelle was created by Christopher Sheldrake in 1999 and includes notes of tuberose, jasmine, orange blossom, hyacinth, nutmeg, clove, styrax, musk and vanilla. Apply Tubéreuse Criminelle without any idea what you are in for and you are probably scarred for life. But apply with caution and an open mind and you are in for a treat. The famous opening of Tubéreuse Criminelle is like nothing else you ever smelled inside a perfume bottle at least. A blast of menthol, a medicinal, icy and rubbery waft of utterly non-perfume like odor holds sway for a few minutes, before like silvery mists parting they start to recede and unveil a tuberose so proud and full and regal only Fracas can stand up to it (and maybe Carnal Flower). Never, ever would I spray Tubéreuse Criminelle, but dabbed I have grown to LOVE it. Yes, love it. The magical transformation, the receding mists, the incredibly beautiul perfectly petaled flower underneath, is breathtaking. From ugly duckling to beautiful swan, from cold and damp night to bright morning sunshine, from winter to spring – the metaphors are manifold, but they all only barely manage to convey the sensation of change, of transformation, of becoming, of renewal. Everytime I wear Tubéreuse Criminelle I can’t help but go through the same facial expressions: disgust at first, wonder next, a tentative smile, a full-blown grin. Tubéreuse Criminelle is a work of genius and while it’ll never be a apply and go perfume for me (way too much action! ), I relish to apply a bit in the evening and watch, or rather smell, the show unfold. Tubéreuse Criminelle is pure entertainment for the olfactory inclined person. This entry was posted in Floral, Fragrance Reviews, Serge Lutens, Tuberose and tagged Christopher Sheldrake, floral, Fragrance, Perfume, Review, Serge Lutens, Tuberose. Bookmark the permalink. Yay! You have grown to love it! One of my staples in summer. I even love the beginning so much that I spray it on. Cautiously is the way to go! 😉 Enjoy! Oh my gosh, Birgit! Just tonight I was spritzing it on before bedtime and was searching some blogs to see what my favorite writers thought of it. Read Victoria’s, then noticed you just wrote about it tonight!! I felt exactly the same. For a year I could not accept it. Would not wait for the dry-down to see…just to see how it changed. Finally, last month I saw the light. Now I crave it like I do certain chocolates or McDonald’s french fries! (Not a very good metaphor, I know…) Thanks for the review!!! It is really worth the wait, isn’t it? Perfumes that yield their secret slowly are so rewarding! Nope, not me (though a very convincing review I must say). I wonder what will happen first – I’ll change my mind about Shalimar, No. 5 or tuberose perfumes? Well, imho Sheldrake is a Genius. BUT ! 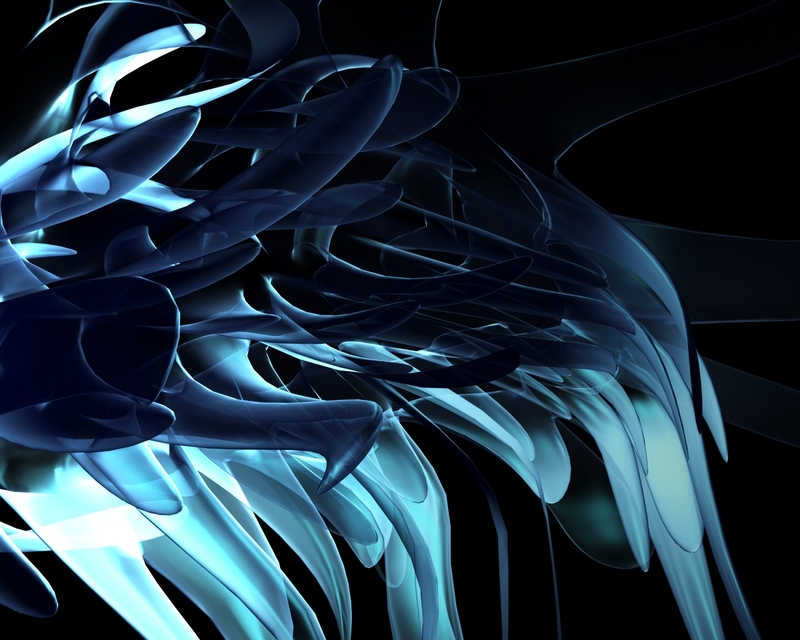 His creations more often than not are difficoult, not to say problematic. And TC is an entirely prohibited area for me. I mean, “tuberose, jasmine, orange blossom, hyacinth, nutmeg, clove” – only one of these could already send me unconscious, not to mention the whole collection of them (that would probably kill me, if being hit on an especially weak day). I totally understand, it is challenging for sure and I won’t ever own a bottle of TC, but it is a triumph to finally get it and I’m glad I did persevere. It’s so great that you were your usual committed self and didn’t give on this one. No doubt I wouldn’t get on with the “mothballs on ice” opening (great description!) but it sounds worth putting in thw work for the reward. I’d like to try it one day just for the experience. It such a notorious perfume with the perfect name too. It is an experience and the beauty-beast transformation of TC is something you shouldn’t miss. I do have a small sample of this and I am definitely still stuck in the ‘not heeding the Roudnitska’ stage, but never say never! I have found that the more I wear it, the more I have come to enjoy the menthol blast which was so morbid and creepy, goth-like in the beginning. It just takes some getting used to it, but then the silkiness of this tuberose is sans pareil. Like you say, it’s up there in the reference tuberoses top5. BTW, if I may, I believe it was Guy Robert and not E.Roudnitska who coined the adage “un parfum doit sent bon” (a perfume should smell good). And I managed to make a grammar mistake in the quote too, it seems! “Un parfum doit sentir bon”, it should read. I’ve been exploring tuberose oil, and blending it with other oils that I love. It is definitely an interesting oil. It has many valuable healing properties, in and of itself. To smell tuberose on its own, in concentrated form is a no bueno!!!! But diluted, and I mean a lot, it has been nice. Actually, I have to get it on my skin to appreciate it. I put about 1/16 of an ounce of tuberose into 1 ounce of fractionated coconut oil (that has no smell). After it is on my skin for about 15 minutes, it starts to smell beautiful. I have been layering the oils on my skin, because I am not sure what works with what. 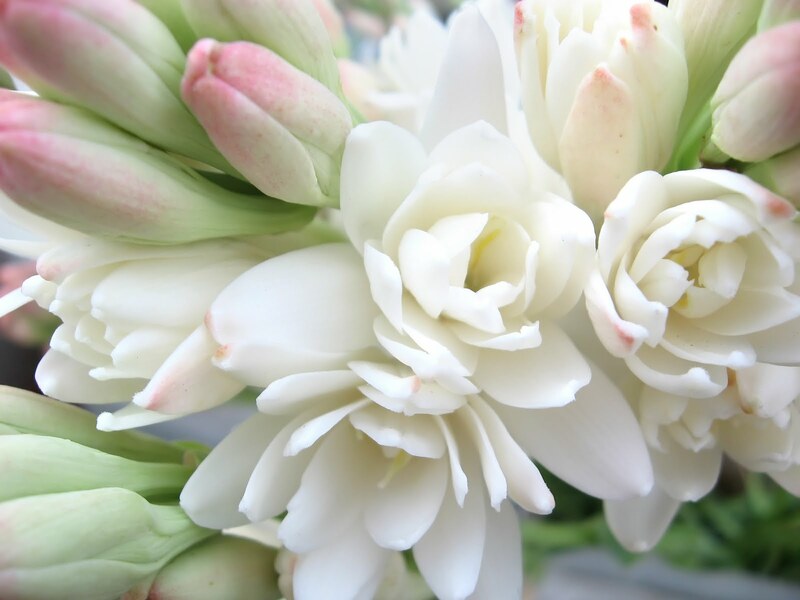 I so wish I had access to a real tuberose flower, but they are impossible to find here. It was very off putting when I first smelled it. It is a powerful scent for sure. It’s funny, I was just leaving a comment at Parfumieren last night about feeling clobbered by what I call a Ben-Gay note that ruins By Kilian’s Back-to-Black for me. And yet I absolutley love the mentolated opening of Tubereuse Criminelle … it’s wintry frost blasting me and then melting away to reveal that tuberose that is, as Helg describes it, so silky. I’m not sure what Ben-Gay is, but my husband tells me it is some kind of muscle-rub or something? Funny, I wore Back to Black yesterday evening, but I’ve never smelled any menthol in there, I will look out for it next time. I’ll vote for that too, I love the look of tuberose too, so pretty. I hope to get a real one under my nose soon. I’ve only just come around to tuberose myself, having quite unexpectedly fallen head-over-heels in love with Carnal Flower. At my first sniff of it, back in February, I thought it was beautiful but sooo “not me”. Plus, I think the name made it even more intimidating. But I recently was playing perfume consultant to some friends at the Frederic Malle counter, and recommended CF to one friend, whose personality suited it perfectly. She received a generous spritz, which I smelled wafts of through the rest of the evening. It was sublime, absolutely luminous on a hot, humid summer night. That evening left me craving it for days afterwards, until I worked up the courage to try wearing my own sample. I’ve been wearing it for a week straight now (the tiniest spritzes from my sample, trying not to use it up to fast), and I’m still hungry for more. I’m interested to try more tuberose fragrances now, but based on what I’ve read about other examples, I have a feeling that CF might be “the one” tuberose for me. I love its freshness, and I don’t think I could handle any more drama. But, of course, never say never… You’ve certainly piqued my curiosity about this one! CF was my introduction to the beauty of tuberose too. The menthol in CF is about a tenth of the intensity in TC. This was one of the few fragrances I sniffed (unexpectedly), and was so amazed I bought it there and then. I find the opening desperately addictive and I just wish it lasted longer. I was sure you’d love this one. From what I know about you, this is right up your alley. 🙂 I’m glad I’ve warmed to it too, it is a fun ride with a huge reward at the end. It sounds dangerous and wicked. And like the name says …a bit of a criminal. I am going to look for it next time I am out and about sniffing the airs and wares. I know it is not for me but after your story I just have to smell this bad boy. Do that! Maybe you totally love it, it is a huge hit with many men. I am SO glad that you have learned to love Tubereuse Criminelle, it is one of the most beautiful and fascinating tuberose by far. This is serendipity I think,I tried TC for the first time only yesterday! I sprayed it on, not too carefully and I almost had some trouble breathing for a while! A truly fascinating scent, I can see how it can become addictive. Don’t think I’ll ever get a FB but I will surely use up my sample. I think the conclusion is that I have definitely gotten over my tuberose-phobia, it’s just Fracas that’s still impossible! *grins* I never thought I’d see the day that you’d say this..I’m so glad you finally love TC- she is gorgeous! Another marvellous review. I have not had the pleasure of sniffing this, but will repair that forthwith. Big fan of Tuberose. Had a photographer friend who wore it excessively. Gorgeous Italian lady with a big personality. 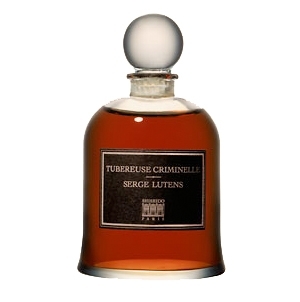 For myself, I confess to having a liking for Lutens’ Five O Clock Au Gingembre (fabulous name)! And my friend likes Ambre Sultan. TC is definitely suited for a big personality. Ambre Sultan is my husband’s favorite too.